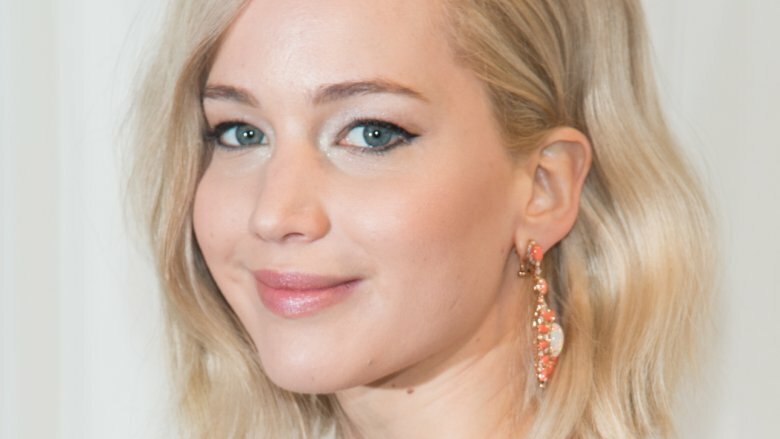 Actress Jennifer Lawrence is said to be engaged to art dealer Cooke Maroney! After reportedly dating for nine months, Lawrence and Maroney have gotten engaged, Lawrence's rep confirmed to Page Six on Tuesday, Feb. 5, 2019. The happy news broke shortly after the Red Sparrow star was supposedly spotted wearing "a giant rock" on her finger while out to dinner with Cooke at New York City eatery Raoul's. "It was a giant rock. They seemed like they were celebrating and people were talking about it," an onlooker told Page Six. "The ring was very noticeable. They were sitting back in a corner. She was wearing a cute black dress with white polka dots." Lawrence was first linked to 33-year-old Maroney, an art gallerist, in June 2018, after the two were reportedly introduced to one another by the actress' good friend Laura Simpson (via The Hollywood Reporter). "They met through Jen's friend Laura … The relationship has been going on a few weeks," a source shared with Page Six shortly after the romance reportedly took off. "But they have been very private and careful not to be seen together." Lawrence's romance with Cooke comes after a string of failed relationships with various celebrities. Most notably, the Kentucky native had been linked to director Darren Aronofsky, whom she worked with on Mother!, and Coldplay singer Chris Martin. The Oscar-winner was also previously in a long-term relationship with actor Nicholas Hoult, whom she split with after filming the The Hunger Games series (via E! News). "I was also in a relationship with somebody for five years and we broke up around the same time I wrapped the movies," she told ABC News' Diane Sawyer in November 2015 (via People). "Being 24 was this whole year of, 'Who am I without these movies? Who am I without this man?'" Despite Lawrence's disappointments in the romance department, she never gave up on the idea of marriage. "I can't wait to be married," she gushed to Vogue in November 2015. "I feel like if I find that one person who I want to spend the rest of my life with, who I want to be the father of my children, that I would absolutely not f**k it up." At the time of this writing, Lawrence has yet to publicly confirm her engagement.